When there is a mention of Search Engine Optimization (SEO) for WordPress, there’s one plugin you simply can’t ignore; Google XML Sitemaps. It is an essential plugin I think all WordPress users must have. It is simple, reliable, updated, powerful, and best of all, works automatically. To make sure that search engines find and index all your pages, you need to submit to them a sitemap of your blog. Google XML Sitemaps creates an XML sitemap for your blog, which is compatible with all the major search engines like Google, Yahoo, Bing etc. A sitemap is a list of all accessible pages on your blog / website. Some websites have a separate page labelled as a ‘sitemap’. That page lists all the pages on the website, usually organized in some sort of hierarchy. An XML sitemap is similar. It lists all the pages on your website, but usually there does not need to be an organizational hierarchy. It is the search engine’s job to deal with all that stuff. So why do search engines need your sitemap? Well, you obviously want your pages to show up on Google don’t you? 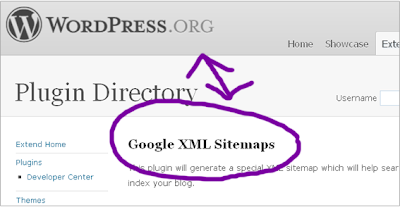 Let’s say you searched for “Google XML Sitemaps” on Google, and came up with this very page you are reading. You were able to access it because Google was able to index it. Had it not been indexed, this page won’t have gotten any views, and would have remained in the shadows. Supports all kinds of WordPress generated pages. Additionally, it supports custom URLs as well. So you won’t have to worry about compatibility. Automatically adds any new pages that you create. You won’t have to manually add new pages or create new updated sitemaps. Notifies search engines like Google,Yahoo, Bing etc. of any changes via pinging them. That way, whenever you create a new page, it will automatically indexed by search engines. Prioritizes your webpages based on the total number of comments. The more comments there are on a post, the higher its priority. Higher priority pages are submitted to search engines first. User can customize parameters like priority etc. You can exclude any page from being indexed. Creates an XML file and a zip folder, hence giving you ease of use. You can modify that XML file however you want, and submit manually to any smaller search engines not supported by this plugin. Has a WordPress filter that lets other plugins add their own pages to your sitemap. 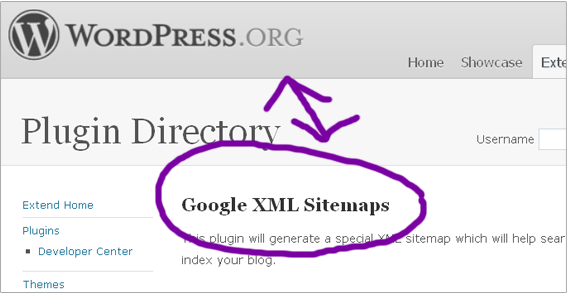 To get started, download Google XML Sitemaps from WordPress website. Go to XML-Sitemaps under your settings tab in you admin panel. There, you can change whatever you like, after which you can easily create a sitemap.